Are you a direct sales rep that’s making money by selling products from companies such as The Pampered Chef, Avon, Silpada, Arbonne or other direct sales companies and you have a lot of information to track on a daily basis? Mompreneurs and entrepreneurs who run direct sales from their homes can find it challenging to keep up with the details. Are you one of these entrepreneurs who has mounds of papers, file folders, and sticky notes, and feels like a disorganized mess when it comes to managing the details of your business? I’m sure they’ll thank you later! How Does LightArrow Organizer Help Direct Sales Reps? Below, I’ll explain how LightArrow Organizer, which is available for iPhone, iPad and Mac manages these types of activities. The screenshots in this post are from the Mac version of the app, but keep in mind that the same features are available on your mobile devices. Tracking progress with customers and prospects is imperative for someone who is in direct sales. There are many aspects of client relations that are important to track, such as the items listed below. When you’re in direct sales, dividing your contacts among groups helps you better plan follow-ups and other communications. For example, many of you organize your contacts among leads, hostess contacts, customers, VIP customers and team members. With LightArrow Organizer, you can organize contact groups with ease and easily communicate with these groups of people directly from the app. Collecting information about your clients is imperative for success. With LightArrow Organizer, you can manage a variety of information for your prospects and clients. The app includes standard fields with information such as phone numbers, emails, user-defined groups, locations, personal dates and social media handles, as shown in the following section. What’s really special and unique about LightArrow Organizer is you can set up your own fields to hold information that’s important to you and your business, and track the progress you’re making in your direct sales. Below, the image shows an example of a user who has set up fields for order history, client references, and delivery of samples to clients. Imagine the endless possibilities of the information you can track for your direct sales business. Planning follow-ups of leads, customers, team members and other contacts is essential for winning at your direct sales business. 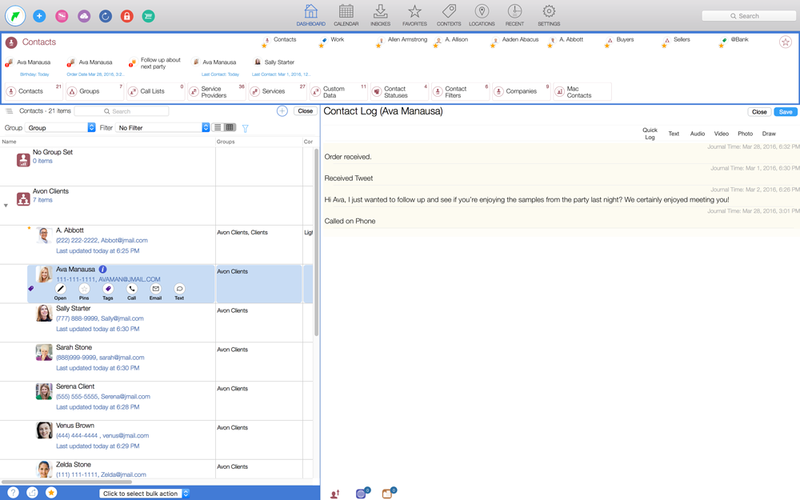 LightArrow Organizer allows you to plan timely follow-ups by tracking communications through contact logs as shown below. 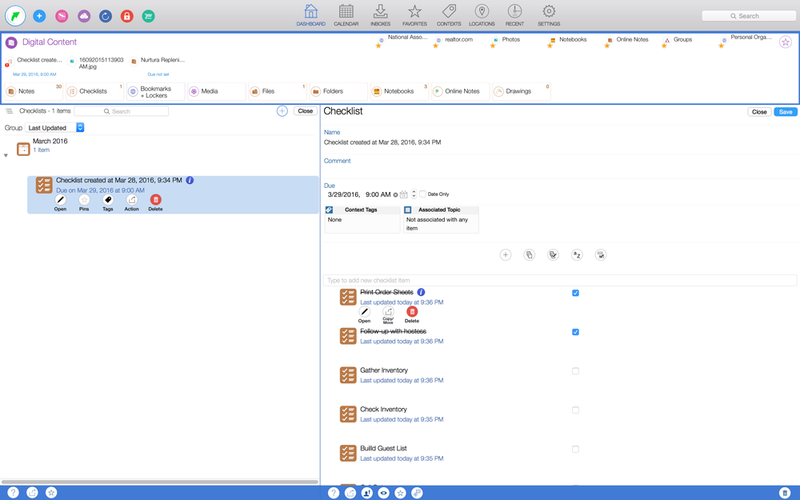 Thus, LightArrow Organizer gives you the ability to view all your contact groups in a spreadsheet-like view with filters showing you who you need to contact based on many factors, such as the last contact date or last order date. An example is shown below. Direct sales reps who take the time to talk to their clients and record detailed notes about their clients’ wants and needs are winning sales reps. And personalizing your clients’ experiences makes you a successful sales rep. Keeping notes about your contacts helps you easily remember important information about each of your clients and prospects. It also helps you to build effective follow-ups and participate in engaging conversations. LightArrow Organizer gives you the ability to take notes (text, audio, video, photo and hand-written) and associate these notes directly with your contacts, as shown below. For those who plan parties and client meetings to demonstrate and sell products, keeping the details straight can be daunting. 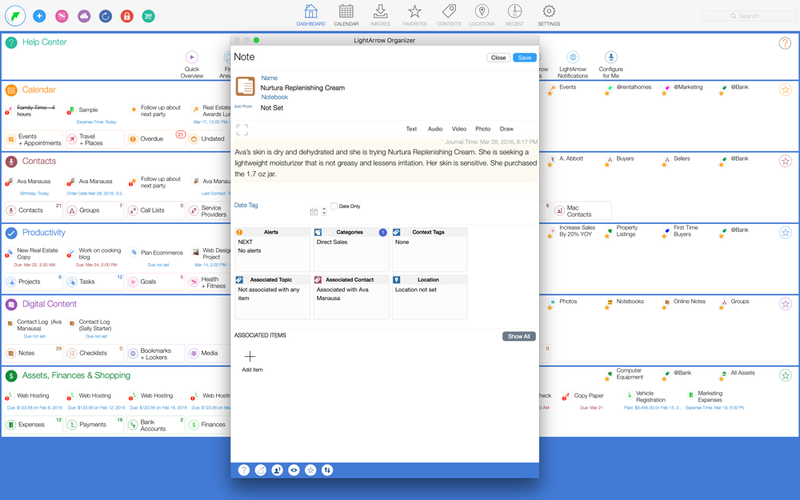 LightArrow Organizer enables you to manage all the information related to events you’re attending and hosting; appointments (items that occur as designated times); reminders; occasion reminders; iOS/Mac calendar items; and iOS/Mac reminders. For example, if you’re planning a meeting or party, you can create an event, choose the invitees for the event, and email the invitees (directly from the app). 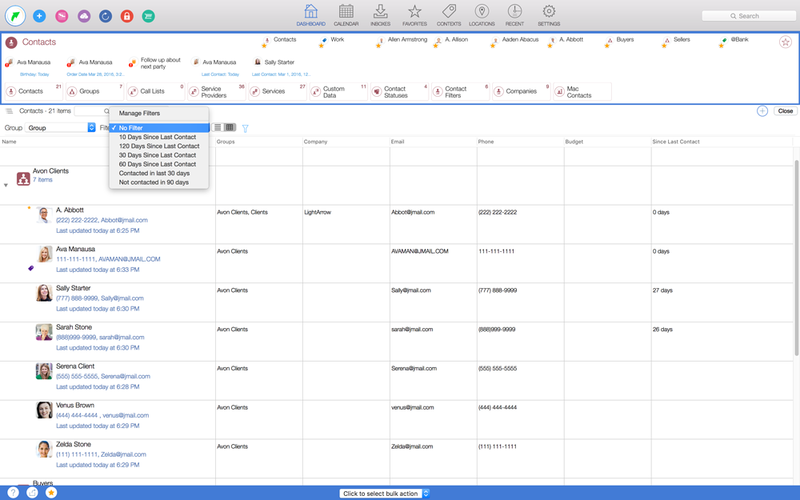 And keep in mind that LightArrow Organizer unifies your calendars (such as from your iPhone and Google) and gives you eight supercharged calendar views. When you organize an event such as a skin care or candle party in your LightArrow app, you can associate items such as bookmarks to your product website; tasks for things to do related to the party; locations related to your appointments; service providers, such as caterers; and travel related items. 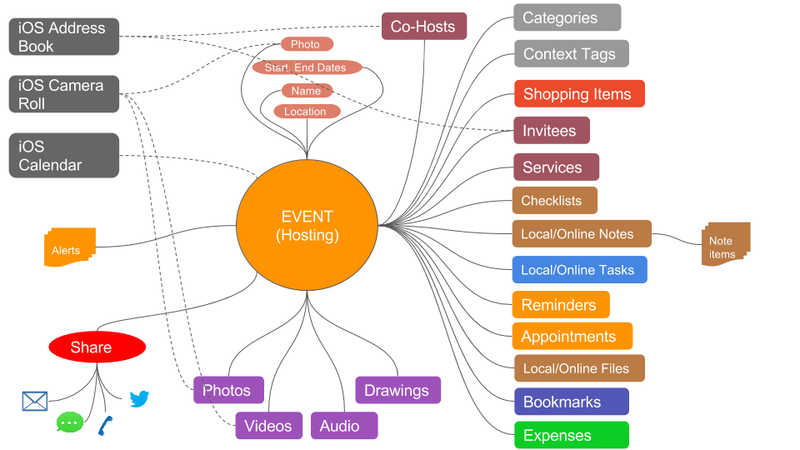 The following diagram gives you an idea of the many items that you a tie to the events you’re hosting. In addition, when party planning, you can mark the invitees who plan to attend and the invitees who have declined the invitation. For example, if you’ve mailed invitations and you need a way to keep track of the invitees who plan to attend, your app can provide you with this ability. When you’re in direct sales, your ability to manage your money is paramount to your sales success. Tracking mileage, marketing expenses, party expenses and other sales expenses is important so that you can accurately measure your revenue. 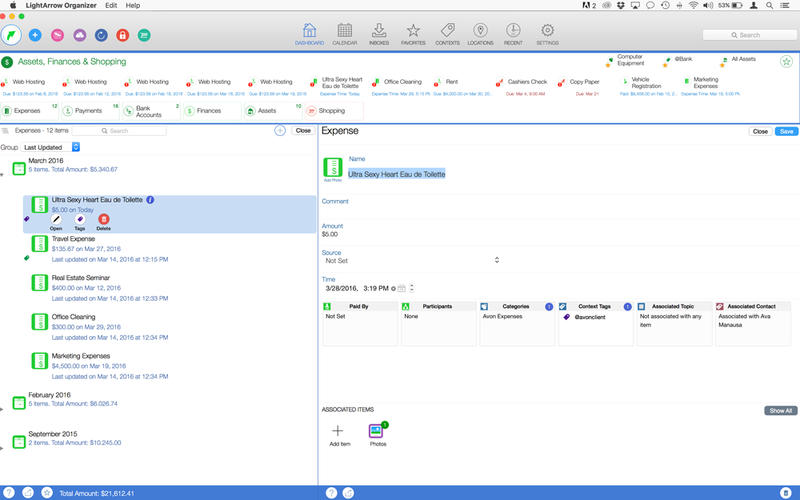 Below shows an example of expense management in LightArrow Organizer. When you’re managing a business, keeping track of the smaller details is just as important as the big ones. To-do lists and checklists ensure that nothing falls through the cracks. Below is an example of how to manage these smaller details using LightArrow Organizer. In direct sales, there are times that you’re required to manage bigger projects that must be broken down into tasks. 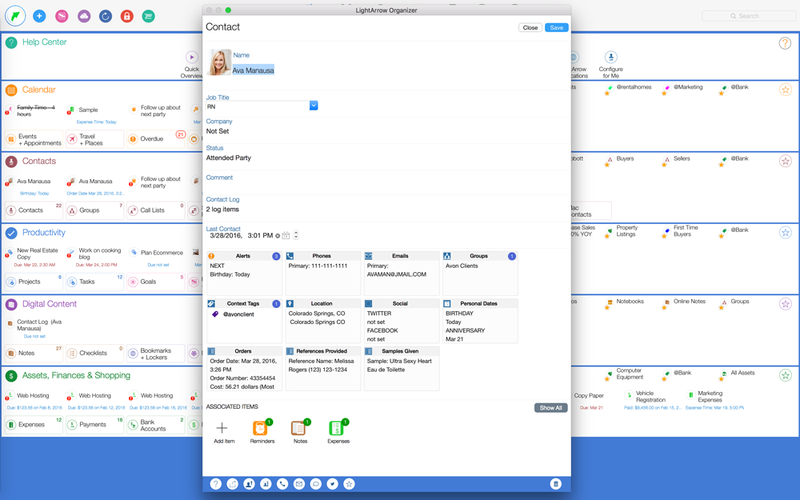 LightArrow Organizer gives you the ability to create, organize, prioritize, track, and check off even your most complex projects and tasks in a streamlined, natural, and easy-to-understand way. You can create projects for any type of work you wish to complete. Below is an example of how to manage bigger projects using LightArrow Organizer. As mentioned earlier, many direct sales reps are drowning in file folders and loose papers. That’s why we recommend that you use cloud services such as Dropbox to store electronic versions of papers you need to keep. We also believe that productivity tools should never sit on their own little islands. That’s why we make it easy to access your online documents, notes and tasks from Google Docs, Evernote®, Toodledo®, Dropbox™, Box™ and OneDrive™ (SkyDrive). 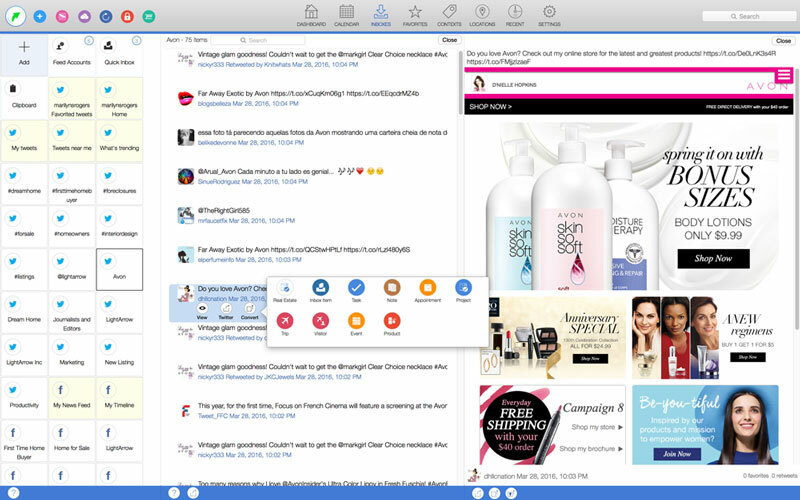 LightArrow Organizer is the first and only app for Mac and iOS that combines information feeds from email, social media and the web and also lets you convert this information to activities, such as tasks — saving your precious time. This is all accomplished through LightArrow Organizer’s inboxes, which are shown below. Do you have questions or comments? How do you manage your direct sales business? Please share your ideas. 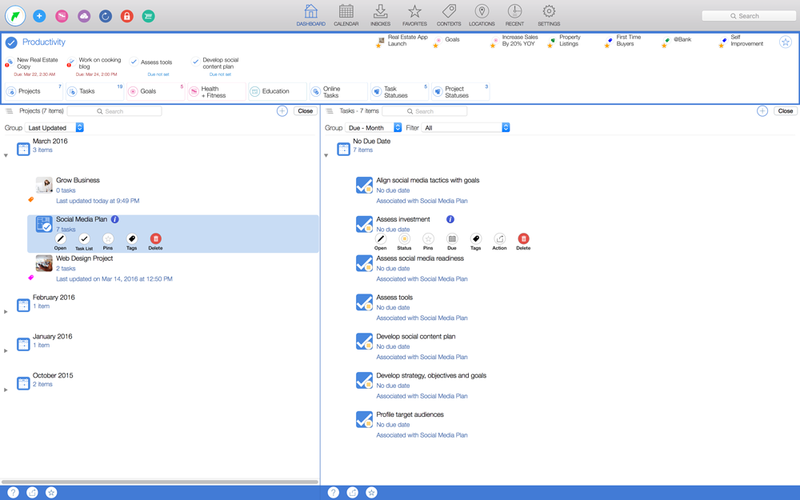 Get your home-based business organized with our all-in-one solutions for iOS and Mac. Any way to get on an email list for when this become available for Desktop and Andriod? Thanks for reaching out. We are making great progress on a web version of LightArrow (works on small and large screens) and we expect to go into early access next month. Please reach out to support@lightarrow.com if you wish to participate in the early access. oh no..not available for my android?? Thanks for reaching out! We only have iOS and Mac right now, but are making great progress on an web version designed for desktop and mobile, which we expect to make available early next year.